Students and profs at Concordia University, which is right downtown in Montréal, have beaucoup options for lunch, dinner, or just a quick snack. 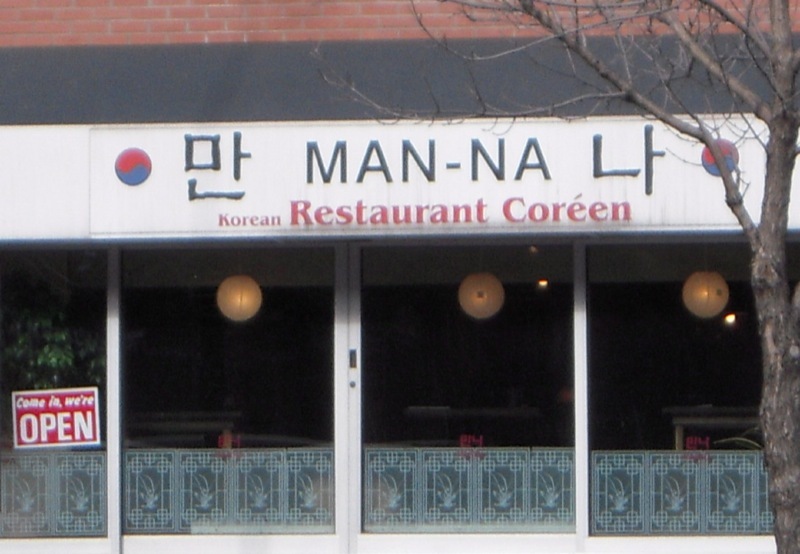 One place I like a lot is Man-na, a Korean resto on Bishop, upstairs a bit. The food is simple, accurate, and nicely priced. All the faves are there, and, of course, every meal starts with a trio of pickles: kim chee, daikon, and a lovely house-made sweet pickled potato. Altho' I usually order the bee-bim-bop, today I ordered the kalbi. They were perfectly done, served on a sizzling platter, with just the right blend of sweetness, beef, and spice. I'll do it again and again. 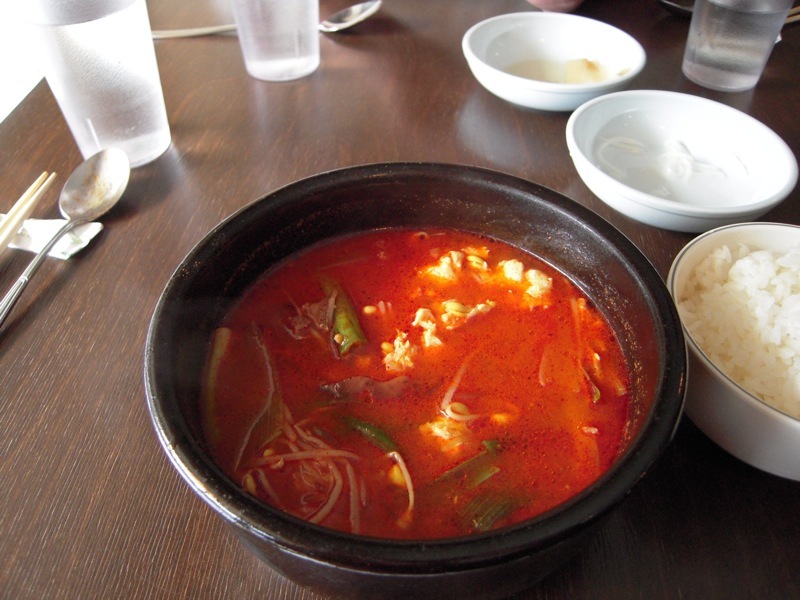 But I think the triumph of the house is the Yuk Gae Jang spicy beef soup [? maybe the Korean equivalent of Niu rou mien?? ], which is simply lovely with the chili heat, beefy texture, and the top note of sesame oil. As an interesting local addition, they add a very rough textured, brown, bean thread noodle, which adds lots to the dish. PS. these pix were taken with a pal's brand-new Nikon Coolpix S610C, which had--mirabli dictu--a "Food" setting on the mode switch!